ST. CATHARINES, ONTARIO--(Marketwire - 06/17/11) - Over 3,800 scientists, engineers and students at universities across Canada will receive support for research programs and advanced training, thanks to a new investment by the Government of Canada. The announcement was made by the Honourable Gary Goodyear, Minister of State (Science and Technology); Rick Dykstra, Member of Parliament for St. Catharines; and Suzanne Fortier, President of the Natural Sciences and Engineering Research Council of Canada (NSERC), while speaking at Brock University. "Our government is investing in the people and ideas that will produce tomorrow's breakthroughs in order to keep Canada's economy growing and create new jobs," said Minister Goodyear. "This research will improve the quality of life of Canadians, while helping universities develop, attract and retain leading scientists and engineers." The successful applicants, from universities across the country, will receive over $411 million in grants and scholarships over terms ranging from one to five years. 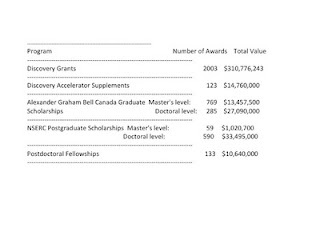 These awards comprise the 2011 competition results for NSERC's Discovery Grants, Discovery Accelerator Supplements, Alexander Graham Bell Canada Graduate Scholarships, NSERC Postgraduate Scholarships and Postdoctoral Fellowships programs. Among the grantees, Brock University psychology professor Catherine Mondloch is receiving a Discovery Grant and a Discovery Accelerator Supplement for her research on how children recognize faces. The result of her work is being used by researchers around the world to investigate cases of children with autism or infantile brain lesions. "These programs are key tools for unleashing the creative power of our most innovative students and researchers," said Dr. Fortier. "The Discovery Grants Program has an outstanding international reputation because it has a very broad scope and offers researchers a lot of flexibility. Our scholarships and fellowships programs play a key role in attracting and retaining the best brains in Canada." The Discovery Grants Program supports ongoing programs of research in every scientific and engineering discipline. Of the 2,003 recipients, 123 have been identified to receive a Discovery Accelerator Supplement in addition to their Discovery Grant. Valued at $120,000 over three years, the awards are given to top-ranked researchers judged by their peers to show strong potential for becoming international leaders. NSERC's scholarships and fellowships awards announced today-comprised of the Alexander Graham Bell Canada Graduate Scholarships, NSERC Postgraduate Scholarships and Postdoctoral Fellowships-offer support at the master's, doctoral and postdoctoral levels. A total of 1,836 new awards have been offered this year. NSERC is a federal agency that helps make Canada a country of discoverers and innovators for all Canadians. The agency supports some 30,000 post-secondary students and postdoctoral fellows in their advanced studies. It promotes discovery by funding more than 12,000 professors every year and fosters innovation by encouraging more than 1,500 Canadian companies to participate and invest in post-secondary research projects. 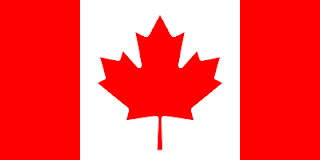 For the lists of recipients and descriptions of projects, see www.nserc-crsng.gc.ca. 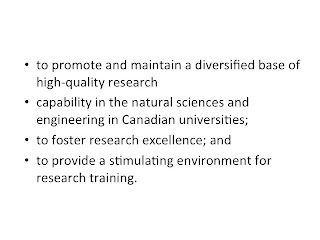 The Natural Sciences and Engineering Research Council of Canada (NSERC) 2011 research grants and scholarships competitions resulted in the following awards being offered. The terms of the awards vary from one to five years. The Discovery Grants (DG) Program is NSERC's largest program and a key element of Canada's support for excellence in science and engineering research and training at Canadian universities. The program gives researchers the freedom and flexibility to pursue the most promising research directions as they arise, encouraging creative and cutting-edge approaches as well as international collaborations. Discovery Grants support ongoing programs of research (with long-term goals), rather than a single short-term project or collection of projects. Researchers are free to structure their program in the most appropriate way for their research area. The grants are awarded for one to five years, although most terms are five years. As part of NSERC's commitment to excellence, the agency introduced enhancements to the peer review system in 2009 and 2010. The changes include a new two-step process for reviewing grant applications that offers a more objective and transparent way to evaluate excellence. These enhancements have created a more dynamic and competitive funding system, with more opportunity for researchers with superior accomplishments and contributions to receive substantial increases. The structure of the review committees was also improved, incorporating more flexibility to bring together different combinations of members to provide an optimum mix of expertise when evaluating research proposals that increasingly transcend the traditional boundaries between disciplines. The Discovery Accelerator Supplements (DAS) Program provides substantial and timely resources to a small group of researchers who have a well-established research program and who show strong potential to become international leaders in their respective area(s) of research. In particular, for the purposes of the DAS Program, a superior research program is one that is highly rated in terms of originality and innovation. Applicants nominated for a DAS will include those whose research proposals suggest and explore novel or potentially transformative concepts and lines of inquiry, and are likely to have impact by contributing to groundbreaking advances in the area. The timeliness of DAS support represents the potential for the researcher at this time to capitalize on an opportunity-such as a recent research breakthrough, a paradigm shift or a new strategy to tackle a scientific problem or research question. Each award is valued at $120,000 over three years ($40,000 annually) and provides recipients with additional resources to compete with the best in the world. Alexander Graham Bell Canada Graduate Scholarships (CGS) and NSERC Postgraduate Scholarships (PGS) provide financial support to high-calibre scholars who are engaged in master's or doctoral programs in the natural sciences or engineering. A CGS is offered to the top-ranked applicants at each level (master's and doctoral) and the next tier of meritorious applicants is offered an NSERC PGS. This support allows scholars to fully concentrate on their studies and seek out the best research mentors in their chosen fields. Overall support is limited to four years-a maximum of one year at the master's level and up to three years at the doctoral level. The Postdoctoral Fellowships (PDF) Program provides support to a core of the most promising researchers at a pivotal time in their careers. The fellowships are also intended to secure a supply of highly qualified Canadians with leading-edge scientific and research skills for Canadian industry, government and universities. The U.S. is in the midst of an energy revolution, and we don't mean solar panels or wind turbines. A new gusher of natural gas from shale has the potential to transform U.S. energy production—that is, unless politicians, greens and the industry mess it up. The resulting boom is transforming America's energy landscape. As recently as 2000, shale gas was 1% of America's gas supplies; today it is 25%. Prior to the shale breakthrough, U.S. natural gas reserves were in decline, prices exceeded $15 per million British thermal units, and investors were building ports to import liquid natural gas. Today, proven reserves are the highest since 1971, prices have fallen close to $4 and ports are being retrofitted for LNG exports. The shale boom is also reviving economically suffering parts of the country, while offering a new incentive for manufacturers to stay in the U.S. Pennsylvania's Department of Labor and Industry estimates fracking in the Marcellus shale formation, which stretches from upstate New York through West Virginia, has created 72,000 jobs in the Keystone State between the fourth quarter of 2009 and the first quarter of 2011. The Bakken formation, along the Montana-North Dakota border, is thought to hold four billion barrels of oil (the biggest proven estimate outside Alaska), and the drilling boom helps explain North Dakota's unemployment rate of 3.2%, the nation's lowest. All of this growth has inevitably attracted critics, notably environmentalists and their allies. They've launched a media and political assault on hydraulic fracturing, and their claims are raising public anxiety. So it's a useful moment to separate truth from fiction in the main allegations against the shale revolution. • Fracking contaminates drinking water. One claim is that fracking creates cracks in rock formations that allow chemicals to leach into sources of fresh water. The problem with this argument is that the average shale formation is thousands of feet underground, while the average drinking well or aquifer is a few hundred feet deep. Separating the two is solid rock. This geological reality explains why EPA administrator Lisa Jackson, a determined enemy of fossil fuels, recently told Congress that there have been no "proven cases where the fracking process itself has affected water." 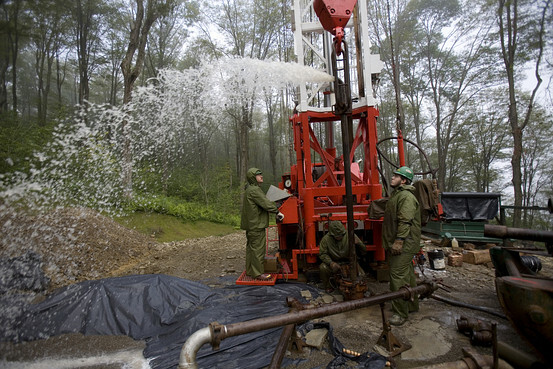 A drilling team from Minard Run Oil Company pull out steel pipe during a fracking operation at a 2100 foot natural gas well in Pleasant Valley, Pennsylvania in 2008. A second charge, based on a Duke University study, claims that fracking has polluted drinking water with methane gas. Methane is naturally occurring and isn't by itself harmful in drinking water, though it can explode at high concentrations. Duke authors Rob Jackson and Avner Vengosh have written that their research shows "the average methane concentration to be 17 times higher in water wells located within a kilometer of active drilling sites." They failed to note that researchers sampled a mere 68 wells across Pennsylvania and New York—where more than 20,000 water wells are drilled annually. They had no baseline data and thus no way of knowing if methane concentrations were high prior to drilling. They also acknowledged that methane was detected in 85% of the wells they tested, regardless of drilling operations, and that they'd found no trace of fracking fluids in any wells. The Duke study did spotlight a long-known and more legitimate concern: the possibility of leaky well casings at the top of a drilling site, from which methane might migrate to water supplies. As the BP Gulf of Mexico spill attests, proper well construction and maintenance are major issues in any type of drilling, and they ought to be the focus of industry standards and attention. But the risks are not unique to fracking, which has provided no unusual evidence of contamination. • Fracking releases toxic or radioactive chemicals. The reality is that 99.5% of the fluid injected into fracture rock is water and sand. The chemicals range from the benign, such as citric acid (found in soda pop), to benzene. States like Wyoming and Pennsylvania require companies to publicly disclose their chemicals, Texas recently passed a similar law, and other states will follow. Drillers must dispose of fracking fluids, and environmentalists charge that disposal sites also endanger drinking water, or that drillers deliberately discharge radioactive wastewater into streams. The latter accusation inspired the EPA to require that Pennsylvania test for radioactivity. States already have strict rules designed to keep waste water from groundwater, including liners in waste pits, and drillers are subject to stiff penalties for violations. Pennsylvania's tests showed radioactivity at or below normal levels. • Fracking causes earthquakes. It is possible that the deep underground injection of fracking fluids might cause seismic activity. But the same can be said of geothermal energy exploration, or projects to sequester carbon dioxide underground. Given the ubiquity of fracking without seismic impact, the risks would seem to be remote. • Pollution from trucks. Drillers use trucks to haul sand, cement and fluids, and those certainly increase traffic congestion and pollution. We think the trade-off between these effects and economic development are for states and localities to judge, keeping in mind that externalities decrease as drillers become more efficient. • Shale exploration is unregulated. Environmentalists claim fracking was "exempted" in 2005 from the federal Safe Water Drinking Act, thanks to industry lobbying. In truth, all U.S. companies must abide by federal water laws, and what the greens are really saying is that fracking should be singled out for special and unprecedented EPA oversight. Most drilling operations—including fracking—have long been regulated by the states. Operators need permits to drill and are subject to inspections and reporting requirements. Many resource-rich states like Texas have detailed fracking rules, while states newer to drilling are developing these regulations. As a regulatory model, consider Pennsylvania. Recently departed Governor Ed Rendell is a Democrat, and as the shale boom progressed he worked with industry and regulators to develop a flexible regulatory environment that could keep pace with a rapidly growing industry. As questions arose about well casings, for instance, Pennsylvania imposed new casing and performance requirements. The state has also increased fees for processing shale permits, which has allowed it to hire more inspectors and permitting staff. 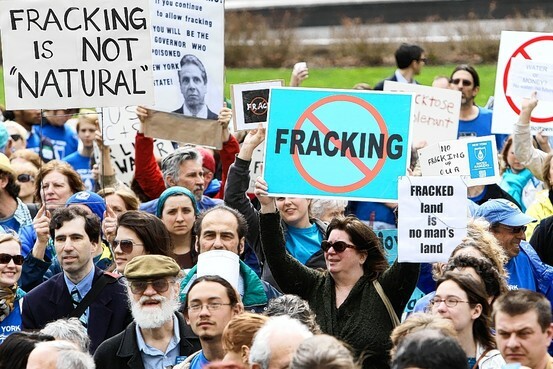 New York, by contrast, has missed the shale play by imposing a moratorium on fracking. The new state Attorney General, Eric Schneiderman, recently sued the federal government to require an extensive environmental review of the entire Delaware River Basin. Meanwhile, the EPA is elbowing its way into the fracking debate, studying the impact on drinking water, animals and "environmental justice." Amid this political scrutiny, the industry will have to take great drilling care while better making its public case. In this age of saturation media, a single serious example of water contamination could lead to a political panic that would jeopardize tens of billions of dollars of investment. The industry needs to establish best practices and blow the whistle on drillers that dodge the rules. The question for the rest of us is whether we are serious about domestic energy production. All forms of energy have risks and environmental costs, not least wind (noise and dead birds and bats) and solar (vast expanses of land). Yet renewables are nowhere close to supplying enough energy, even with large subsidies, to maintain America's standard of living. The shale gas and oil boom is the result of U.S. business innovation and risk-taking. If we let the fear of undocumented pollution kill this boom, we will deserve our fate as a second-class industrial power. Opponents of hydraulic fracturing at an April protest in New York. On Friday, Texas Gov. Rick Perry signed into law a bill that will require companies to make public the chemicals they use on every hydraulic fracturing job in the state. While a handful of other states have passed similar measures, Texas's law is significant because oil and gas drilling is a key industry in the state and the industry vocally supported the measure. Environmental groups said the law doesn't go far enough, but they agreed it was an important step. Until recently, much of the industry opposed providing detailed information about its chemicals, arguing that they are trade secrets. But in recent months, as drilling opponents have accused companies of secrecy, many industry leaders have come to view that position as untenable. "We have seen the light," Aubrey McClendon, chief executive of gas producer Chesapeake Energy Corp., told investors when asked about chemical disclosure at the company's annual meeting earlier this month. Hydraulic fracturing, sometimes called "fracking," involves blasting millions of gallons of water, sand and chemicals into the ground to break up oil and gas-bearing rocks. The process has been used for decades, but it has become far more common in recent years as it has been used to open up huge new gas fields in Texas, Louisiana, Pennsylvania and other states. Environmental groups and some residents in drilling areas fear chemicals from the hydraulic fracturing process are seeping into drinking water supplies. They say companies should be forced to disclose information about the chemicals they use, in part so homeowners can test their water for contamination. The industry says such contamination is impossible when wells are constructed properly, adding that tens of thousands of wells have been drilled and fractured with relatively few problems. There have been cases of problems with wells that were improperly constructed, but the industry says such cases are rare and many specific incidents are in dispute. Companies say chemicals make up less than 1% of the volume of most fracturing jobs and are mostly benign. For drillers, though, making that argument was difficult when they were refusing to say what chemicals were being used. Information on chemicals was available at drilling sites, but environmental groups have criticized that information as incomplete and inaccessible to the general public. "I think the one thing hopefully that we all learned is you can't just say, 'Take our word for it,'"said Matt Pitzarella, a spokesman for gas producer Range Resources Corp.
Last year, Range Resources said it would begin voluntarily disclosing the chemicals used in all its wells in Pennsylvania, where the debate has raged. The company said at the time it hoped others would follow suit. Earlier this year, many big gas producers, including Chesapeake, Chevron Corp. and BP PLC, said they would begin voluntarily publicizing the chemicals online at FracFocus.org. Several states, including Wyoming and Arkansas, have recently passed mandatory disclosure rules with at least tacit industry support. Environmental groups, saying neither FracFocus nor the state laws go far enough, have called for a mandatory, national chemical database. "Regardless of what state you live in, we think you deserve to know," said Amy Mall, a senior policy analyst with the Natural Resources Defense Council, an environmental group. The Texas law will require companies to post information on FracFocus.org starting next year and also to disclose chemicals not included in the site's database through a separate process. Companies can request that information on certain chemicals be withheld from the public as trade secrets. The Texas bill drew strong support from much of the industry. In May, a group of 12 big gas producers, including Range, Anadarko Petroleum Corp. and Apache Corp., wrote to Texas legislators urging them to pass the bill. Jim Keffer, a Republican state representative who co-authored the Texas bill, said he believes the law will help the industry. "We're trying to alleviate the concerns," he said. "We're trying to show people that the industry does know how to do this." The Texas bill has drawn mixed reviews from environmental groups. The Environmental Defense Fund, which initially helped promote the bill, ultimately withdrew its support after various changes were made, including the provision to list some chemicals separately from others. But Matt Watson, a senior energy policy manager for the group, said that while the bill "is not the national model we'd hoped for," it is nonetheless a significant step. Yet while the terrorist attacks of 2001 led us to transform the way we approach national security, the deaths of almost twice as many people annually have still not generated basic food-safety initiatives. We have an industrial farming system that is a marvel for producing cheap food, but its lobbyists block initiatives to make food safer. Perhaps the most disgraceful aspect of our agricultural system — I say this as an Oregon farmboy who once raised sheep, cattle and hogs — is the way antibiotics are recklessly stuffed into healthy animals to make them grow faster. The Food and Drug Administration reported recently that 80 percent of antibiotics in the United States go to livestock, not humans. And 90 percent of the livestock antibiotics are administered in their food or water, typically to healthy animals to keep them from getting sick when they are confined in squalid and crowded conditions. This cavalier use of low-level antibiotics creates a perfect breeding ground for antibiotic-resistant pathogens. The upshot is that ailments can become pretty much untreatable. The Infectious Diseases Society of America, a professional organization of doctors, cites the case of Josh Nahum, a 27-year-old skydiving instructor in Colorado. He developed a fever from bacteria that would not respond to medication. The infection spread and caused tremendous pressure in his skull. Some of his brain was pushed into his spinal column, paralyzing him. He became a quadriplegic depending on a ventilator to breathe. Then, a couple of weeks later, he died. There’s no reason to link Nahum’s case specifically to agricultural overuse, for antibiotic resistance has multiple causes that are difficult to unravel. Doctors overprescribe them. Patients misuse them. But looking at numbers, by far the biggest element of overuse is agriculture. We would never think of trying to keep our children healthy by adding antibiotics to school water fountains, because we know this would breed antibiotic-resistant bacteria. 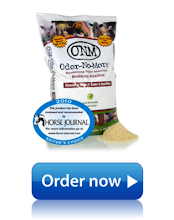 It’s unconscionable that Big Ag does something similar for livestock. Louise Slaughter, the only microbiologist in the United States House of Representatives, has been fighting a lonely battle to curb this practice — but industrial agricultural interests have always blocked her legislation. Vegetarians may think that they’re immune, but they’re not. E. coli originates in animals but can spill into water used to irrigate vegetables, contaminating them. The European E. coli outbreak apparently arose from bean sprouts grown on an organic farm in Germany. One of the most common antibiotic-resistant pathogens is MRSA, which now kills more Americans annually than AIDS and adds hugely to America’s medical costs. MRSA has many variants, and one of the more benign forms now is widespread in hog barns and among people who deal with hogs. An article this year in a journal called Applied and Environmental Microbiology reported that MRSA was found in 70 percent of hogs on one farm. Another scholarly journal reported that MRSA was found in 45 percent of employees working at hog farms. And the Centers for Disease Control reported this April that this strain of bacteria has now been found in a worker at a day care center in Iowa. Other countries are moving to ban the feeding of antibiotics to livestock. But in the United States, the agribusiness lobby still has a hold on Congress. The European outbreak should shake people up. “It points to the whole broken system,” notes Robert Martin of the Pew Environment Group. We need more comprehensive inspections in the food system, more testing for additional strains of E. coli, and more public education (always wash your hands after touching raw meat, and don’t use the same cutting board for meat and vegetables). A great place to start reforms would be by banning the feeding of antibiotics to healthy livestock. My Sunday column looks at food safety and, in particular, the way the agribusiness lobby has blocked some basic reforms — not least the banning of routine feeding of antibiotics to health livestock, for growth promotion. That’s just unconscionable, given the risks of developing antibiotic resistance. Big Ag counters that there’s no evidence that agricultural use of antibiotics is the problem, as opposed to hospital overuse — and that there’s also no connection between agricultural overuse and the latest food poisoning outbreak in Europe. It’s true that it’s very difficult to untangle, because a gene for antibiotic resistance could emerge in a hog barn in Iowa and then migrate to a bacteria in an urban setting, or vice versa. But when 80 percent of American antibiotics are going to agriculture, there’s no getting around the fact that that’s overuse. There’s also some evidence that agricultural antibiotics can lead to movement in the gene that produces shiga toxin — which was so deadly in Europe. The evidence is mixed and poorly understood, but it seems to happen at least in a lab setting. To me the larger problem is that we have a food industry that is superb at producing cheap food at the supermarket, but that isn’t adequately focused on safety and quality. 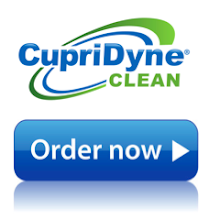 Not when food-borne illness causes 325,000 hospitalizations in the U.S. each year. Europe, South Korea and other countries are moving ahead, but Big Ag blocks such steps in the U.S. And while we can disagree about where the tradeoffs should come — because the result will be higher food prices in the store — a starting point would be to ban the feeding of antibiotics to health livestock. Your thoughts? How’s business? That is THE question that I hear most often. It seems as though everyone is busy with the demands of life and battling to recover practically and psychologically from the global economic crisis. Most of our shareholders cannot take the time to pour over our company blog or read our exhaustive public filings we maintain. Rest assured, everyone, especially me, realizes all too well that at the root of THE question is the nagging desire to see meaningful revenues and a healthy stock price. BioLargo has never been better. Then, are we satisfied? The answer is: No. Please remember we publish robust disclosures about our limited financial resources and early stage revenues. We even detail the risk factors, which include a list of caveats about how difficult the task of introducing what we often refer to as “game changing” technology into highly competitive markets. (See our Annual Report) So, please measure our optimism in light of those realities. We battle the huge barriers to entry every day. 1. We recently signed our first major license with the number one seller and distributor of pet related products in the USA, Central Garden and Pet (Symbol: CENT). The agreement calls for Central to maintain a minimum level of purchases to maintain their exclusive rights as described in the executed agreement and the associated revenues. If Central maintains the minimum levels of purchases called for in the agreement, it will generate material revenues for BioLargo. 3. We have recently added two internationally recognized industry experts to our team: (former CTO at Halliburton & Sr. VP, and currently the Executive Director of the Research Triangle Energy Consortium – Vikram Rao, PhD) and (Harry DeLonge, former senior technology officer at Pepsi and life-time award winners in the water industry and the technologies society for the Food and Beverage industry). They joined us to help guide us in how best to navigate what we believe are massive commercial opportunities for our technology in their respective industries. 4. We were recently selected as a founding member of a new research chair at the University of Alberta sponsored by the Canadian government and joined by six of the top Canadian oil companies and the regional water district to solve the oil sands contaminated water problem in tailings ponds. We will be providing more details soon. Our CTO, Ken Code will be working hand in hand with the members of the research chair for at least the next five years. As a result of our role in this research chair, additional similar opportunities are being presented to us, and we are expanding the awareness and recognition of our technology. 5. Industry and regulatory developments in the Natural Gas industry and specifically hydraulic fracturing are in such a stir that it is creating an increasingly obvious opportunity to play an important role. Is there more? Sure, we have a substantial list of more opportunities for both technical recognition and revenue generation at various stages of development. Stand by for more information as they develop. Remember, as Thomas Edison is quoted, "The three great essentials to achieve anything worthwhile are: hard work, stick-to-itiveness and common sense." How is our financial condition? See the most recent quarterly report here. Remember our convertible debt converts to equity on a fixed calendar schedule. In summary, we have good reason to be confident and optimistic. 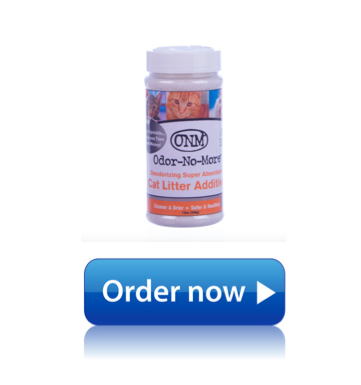 We also are not satisfied and are keenly focused on developing meaningful results that will drive both material revenues and awareness of our company and our stock. It is an exciting time at BioLargo! * Note- Remember to read our annual report and other public filings for insights about our financial condition. Also don't forget to pay attention to the risk factors associated with the execution of our business plan and forward looking statements like those incorporated in this communication. This message is not a solicitation to purchase or sell securities.